Simple polyurethane rings constitute the basic group of runner linings. 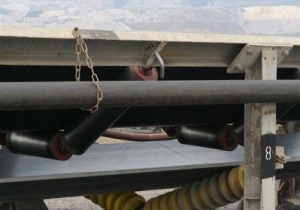 They are a convenient solution, in which runners are assembled by pushing rings onto a pipe. We have been utilizing it successfully for many years. 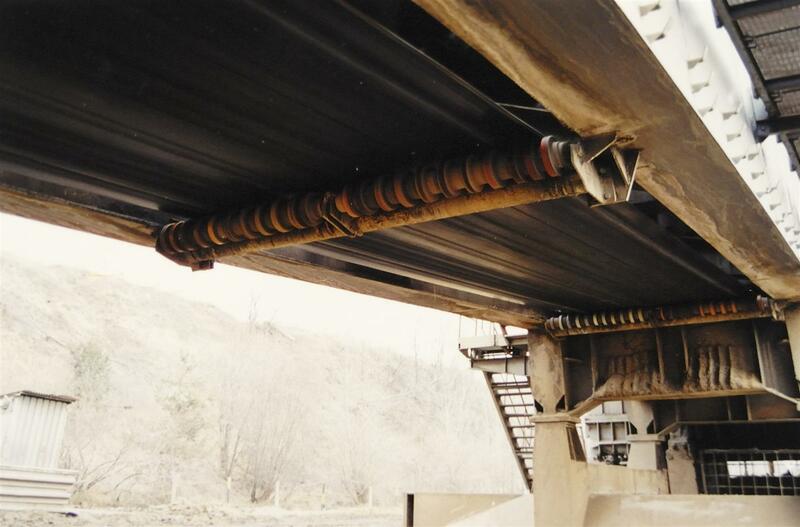 W have rings for typical pipe diameters. 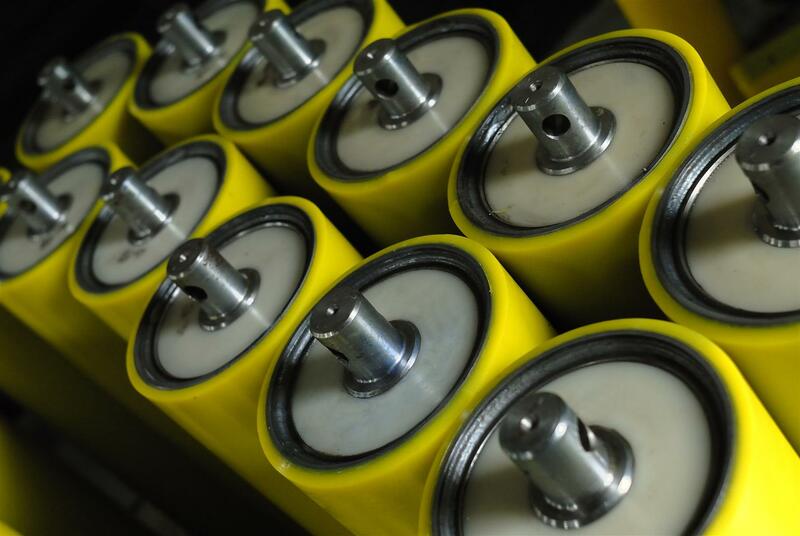 We can also produce custom products, according to detailed customer designs. 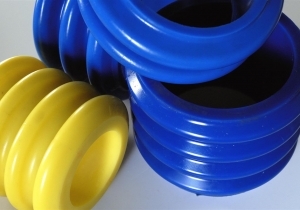 Polyurethane shaped rings constitute a group of special-purpose products, which are customized to particular operating conditions. 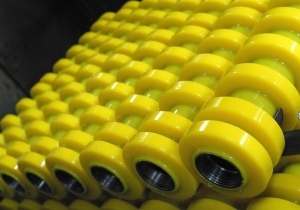 With their advanced geometry, they constitute a group of specially customized products, which closely match customers’ needs. 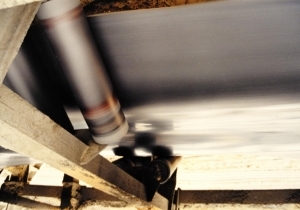 We have numerically controlled machines, which allow us to produce rings with any geometry. 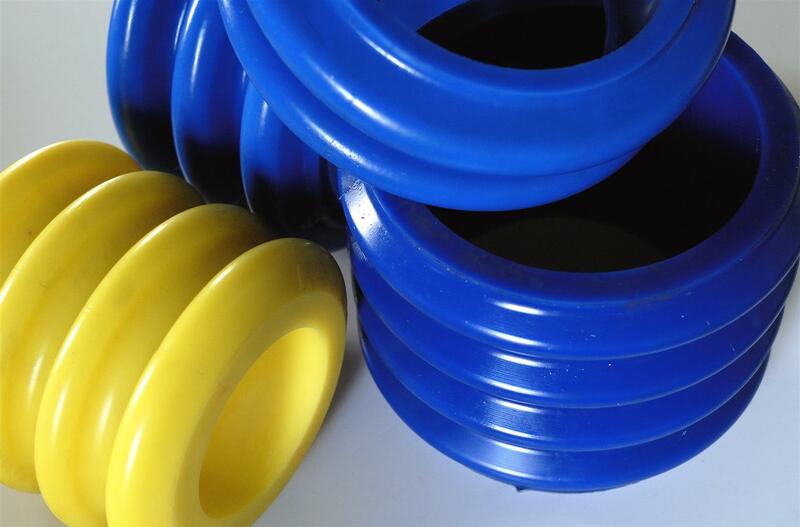 Polyurethane segmented rings constitute a group of products, which extend the range of shaped rings. 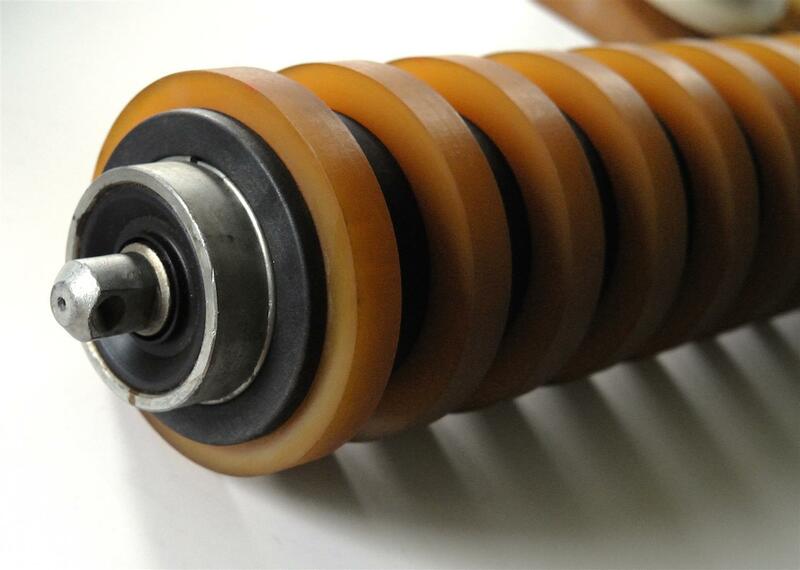 Their segmented structure increases the force, the ring clamps on the runner, which prevents slippage. 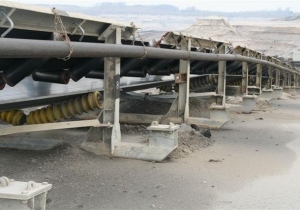 Segmented rings are used on high-capacity belt conveyors. 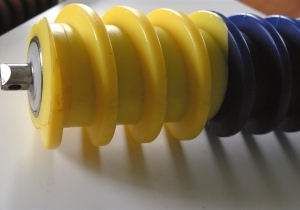 Polyurethane comb linings have been developed and patented by ZPTS. It is an advanced technical solution, in which the lining is vulcanized onto the runner core surface directly in the production process. 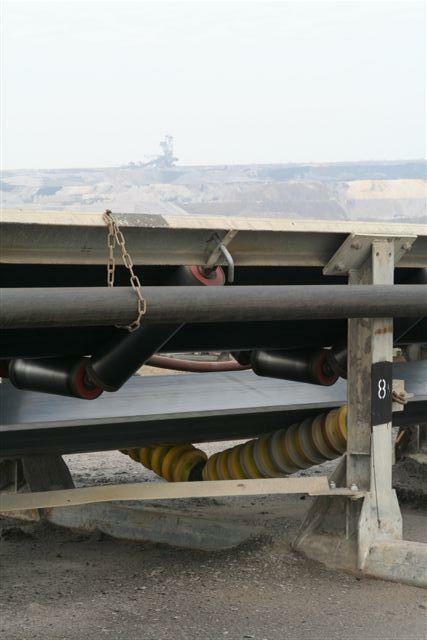 This solution features high durability and ensures exceptional performance of the complete unit. 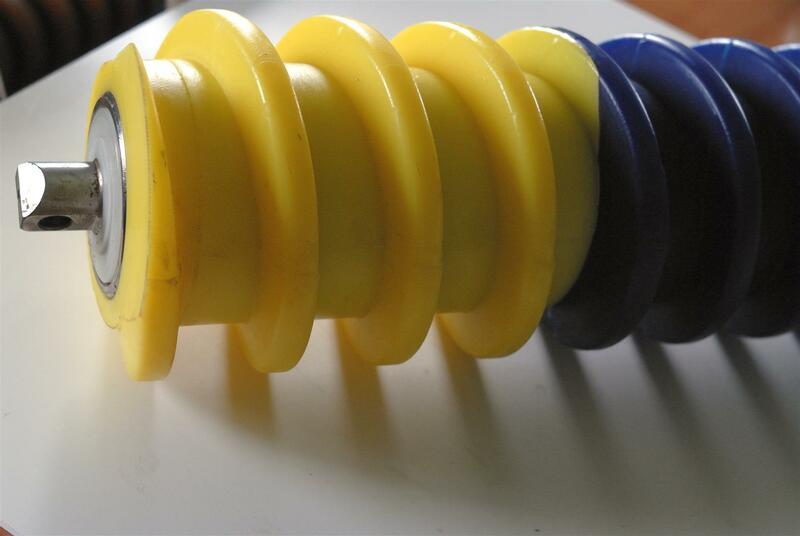 Polyurethane spiral lining is a solution, which stabilizes belt movement and performs cleaning functions. 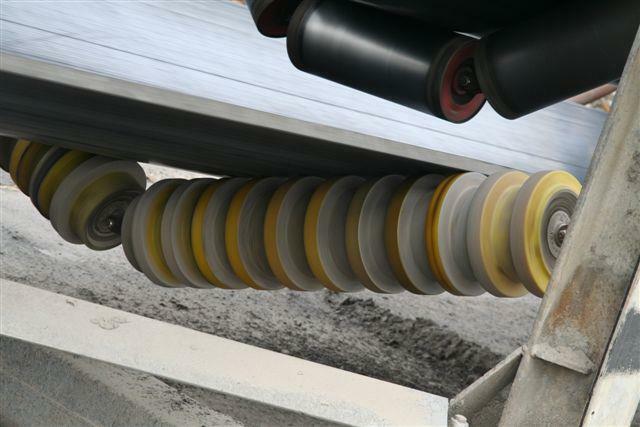 We are offering spiral linings in two versions: as segments to be pushed on the pipe or as a vulcanized product, which is applied directly onto the runner core surface during the production process. The spiral lining can be either clockwise or counter clockwise wound or can converge towards the centre. 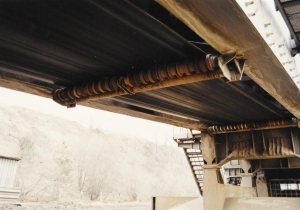 Smooth polyurethane linings and lightweight runners are products intended for reducing noise emissions from belt conveyors. 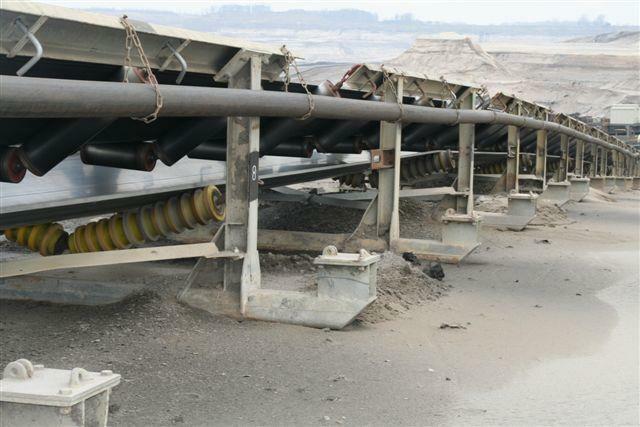 Lightweight runners constitute an alternative for traditional solutions used in conveyor supporting systems. 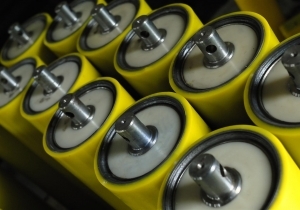 They are made fully of composites and polyurethane, which contributes to ca. 30% weight reduction of the complete unit. 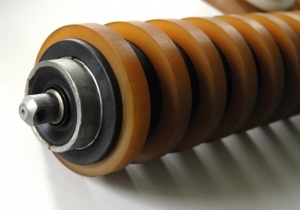 Their unique design ensures exceptional reliability and resilience, while the lack of the steel core eliminates proper vibration transmission.